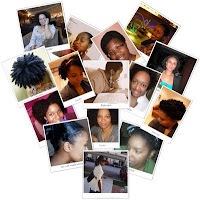 I have received quite a number of pictures for the beautiful short(ish) natural hair feature. This is a few of them in a lovely little heart. Here is the thing, they are so many (about 3 more hearts!). 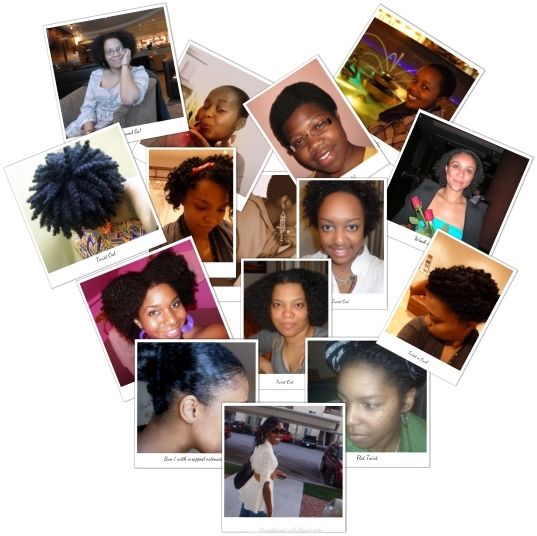 I really want to feature them all but that would stop the focus on natural hair science. 1. Do you want them here on this blog? 2. Would you prefer them on their own dedicated blog with edited highlights over here? If a dedicated blog = JC x 2 ,then I'm for that! dedicated blog, please! I love them, but I miss the hair science posts!! I want them here on this blog because they could have their own section. 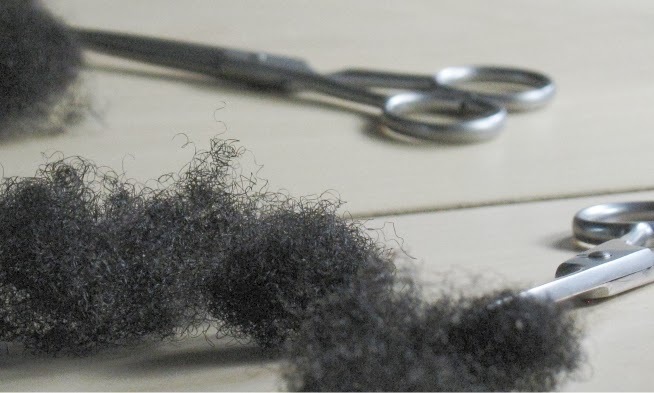 Some want a splash of science with their natural hair. Others may want the opposite and some may want a side order of hair styles while "getting our science on" (LOL). So I say do whatever is easiest for you. Maybe you could give them their own section at the top and call it "Styles". Now, to me that's starting to sound like all of the lovely hair styles could have their own blog with highlights here. See I'm no help (LOL). I'll just go with whatever is better for you and/or whatever the majority wants. A dedicated blog, maybe a Tumblr? I absolutely LOVE the science on this blog. If adding styles would take away the focus of the science in this blog I would say they need another page. I think on the same blog but on a style section /members pics section. Please keep it separate. This is the only place I can get the science behind hair without sifting through various other topics. Your method of delivering the information is great and I love coming here for just that. I love viewing pics of hair and can do it all day but the Natural Haven is my haven for getting the background info. Because of you I am encouraged to become a Trichologist. Please leave it separate. Hmmm, I have mixed feelings. I love the science behind your posts. I often frequent other blogs for style. So if I could get the best of the things I love (sort of a healthy marriage) I'd be happy. But at the end of the day, its your, do what makes you happy. You can always do a trial and see what feedback you get and proceed from there. Either way, I'll keep coming back.